Server Virtualization allows you to increase the efficiency of the use of IT resources but also increases network traffic that poses particular problems for specialists. The paradigm of “the use of a single server, a network port” was replaced by a virtual server to perform multiple tasks and use more network ports for data transmission reliability and storage traffic. Virtual load and load storage system including tasks such as virtual desktops, backups, disaster recovery (DR). Gartner analyst explains how storage virtualization can help to ease the effects of virtualization. Gartner briefly outlined the consequences of server virtualization for storage systems, and explained how to use the virtualization storage systems, the right technology and the right mix of tools, organizations can reduce the impact on enterprise storage systems. Consider use of storage virtualization information. Gartner firm encourages organizations to use virtualization technology, data storage systems as a means to improve the storage system and emphasizes the main advantages of this technology: Virtualization storage supports merging of information storage systems, which allows you to “see” and to consider all storage systems as a single resource. This avoids the problems with ‘abandoned’ memory resources that are not being used to improve the utilization of information storage systems and reduce the cost of storage systems by reducing the need to purchase new storage systems. The benefits of combining storage increase with the size of the managed storage systems. Virtualization storage systems support the flexible and dynamic allocation of memory resources, enabling organizations to create logical storage area, the size of which will be more effectively allocated disk space. It also allows you to reduce the cost of storage systems because the business does not need to buy all at once, the amount of physical memory – you can simply increase the amount of memory as it fills its allocated space. Subsequently, using the tools of dynamic memory allocation can increase or decrease the size of the logical volume on demand. It is important for management and capacity planning. Virtualization storage service supports quality of cloud hosting services (QoS), which extends the functionality of data storage systems. For example, the automatic distribution of the levels allows you to automatically move data from a faster and expensive vehicle to a slower and less expensive carrier and back based on access patterns. Another function is to assign priority, which allows the right to give priority to some data input-output I / O, as compared with other data. One of the problems with bandwidth information storage system is associated with the time lag caused by the mechanical delays, which are inevitable when using a standard hard drive. This limits and the performance of storage systems, and the situation will only get worse in virtual infrastructures, where input and output streams of data are randomly mixed and transmitted over the network in the memory array, creating a high level of disk activity. Architects storage systems often choose the creation of large disk groups. The inclusion of a large number of spindles of hard drives in the same group can effectively distribute and reduce to a minimum the mechanical delay, as one disk writes or reads of the data, while other disks perform a search. Gartner Analyst firm suggests using SSDs (SSD) as a means of reducing the number of hard drives and provide higher data processing speed (IOPS – IO operations per second) storage systems. Careful planning of the transition to the use of virtualization technologies. Architects should represent the data center infrastructure and its operations in preparation for the transition to virtualization technology. Gartner firm recommends IT professionals to start with the identification and quantification of the impact of server virtualization, data growth and the need for round the clockwork on the infrastructure and services of storage systems. Next, determine what you actually need to achieve and be consistent with operational flexibility, storage services, and physical infrastructure. For example, if you need to pay more attention to the ability to backup and restore data, maintain data analyst, virtualization, or use a PC, as it is important to be sure that the infrastructure can support these requirements. Otherwise, you have to update or make changes to the architecture to support these features. Gartner firm noted the distinction between strategic and tactical solutions for virtualization. Strategic decisions create stability, and short-term tactical solutions provide benefits. For example, the transition to dynamic memory allocation is a tactical decision, and the choice of using SRDF replication technology type can be a strategic decision. Finally, Gartner analyst noted that storage virtualization solutions can be crucial for virtualization servers and desktop computers (PC), both of which place high demands on storage infrastructure. 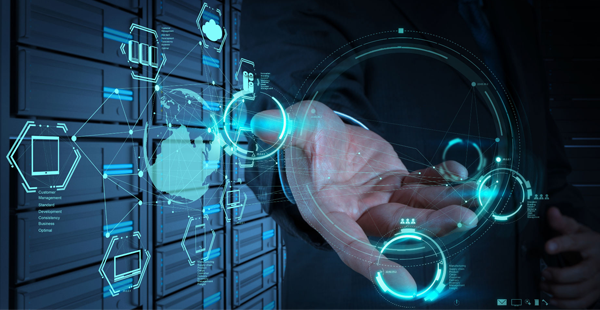 But the transition to virtualization storage requires a full understanding of these benefits, careful planning to ensure proper alignment of business needs and technical capabilities, and wise use of technologies such as data storage and distribution tier SSD.